Lunch at our house was delightful today thanks to my husband. He marinated a tri tip steak (flank or skirt works as well) in garlic and lime juice per the recipe found in the Artisanal Gluten Free Cooking book by Kelli and Peter Bronski. 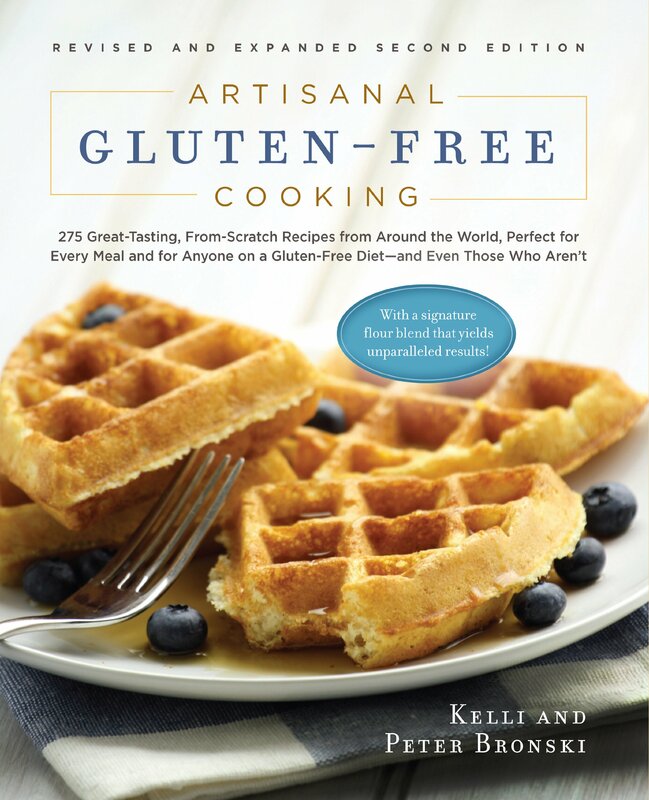 I have been asked many times, over the years, what is my favorite gluten free cookbook. While I do have a favorite basic cookbook that focuses on the foundations of healthy eating (The Garden of Eating Diet by Rachel Mastez), my favorite gluten free specific cookbook has been this Artisanal Gluten Free Cooking for the past 5+ years. The recipes span the globe with a variety of taste profiles while managing to maintain usability in an average American kitchen. The staples are great, the gluten free flour mix is very good, and everything I make from this book is a winner. The lunch we had today included this simple steak recipe, which is primarily lime juice and garlic marinade. The topping of Cuban Mojo is a mixture of green bell pepper, cilantro, garlic, and more lime juice. 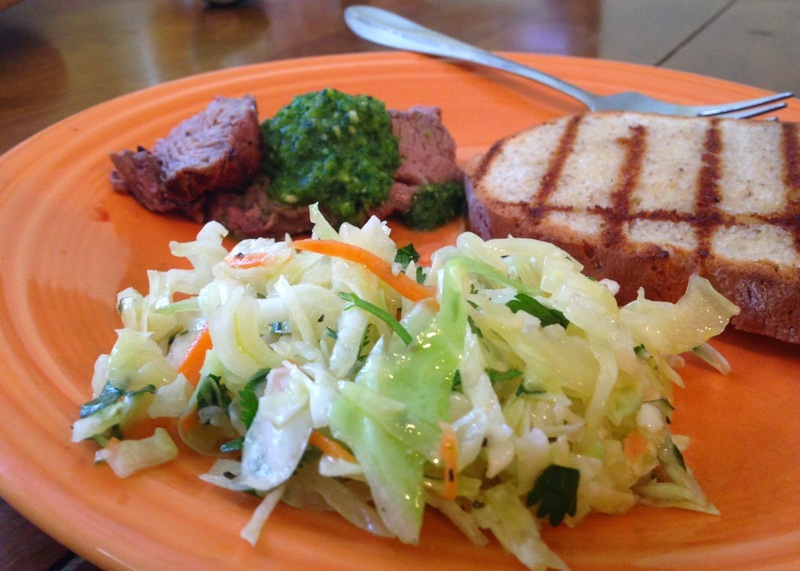 We found that this combination was delightful with a Coleslaw recipe found in the book that features cilantro. While I love these, our family made a couple minor modifications. For one, we would cut the salt back to 1/2 tsp on the Cuban Mojo and we would add the juice of 2 limes to the coleslaw. Such a great flavor combination! I highly recommend you pick up a copy of this book (click book image, or here), and try the above as well as the German potato salad, the scones, and the apple crisp. Those are my favorites! Also, this would be a terrific meal to serve leftover for a lunch salad that would pack nicely cold and topped with tomatoes! School starts soon!